We are slowly, slowly transitioning out of the dark of winter and into the light of spring. But really, I am so ready to jump, swing and skip into spring and summer weather. While the calendar says it's spring, the weather outside is still hovering around 50 degrees max with a rain drop or two more likely to appear than a ray of sunshine. So exactly how do you dress on days when its not quite winter and not quite summer? What do you pull from your closet for those in between days when you're not quite sure if the sun will appear or a rain cloud? 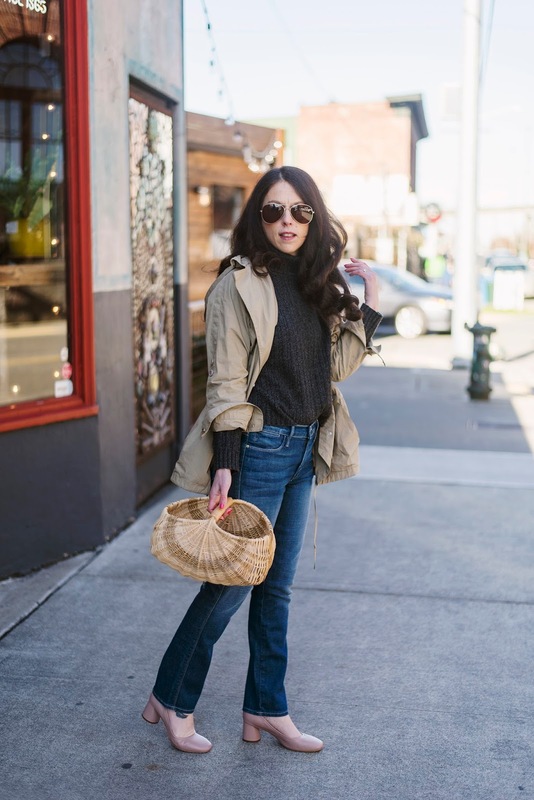 What do you wear when it's 50 degrees out?! 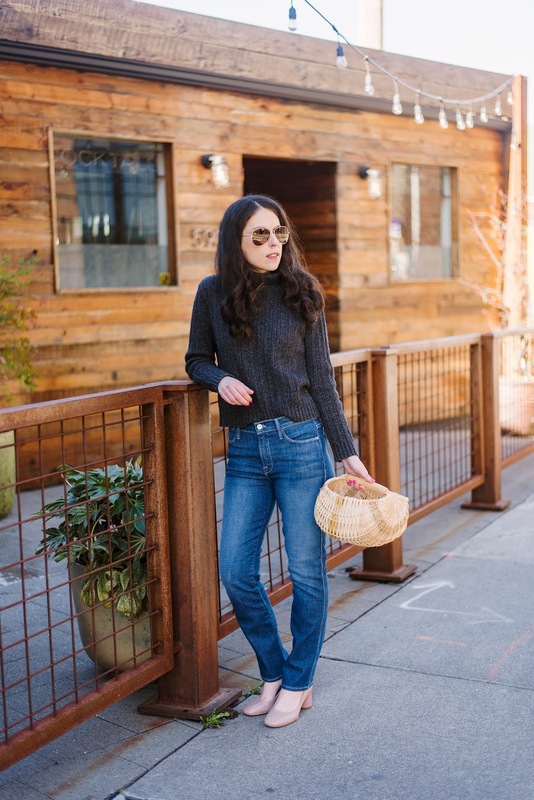 The classic sweater and jeans combo is a quintessential style for 50 degrees and cloudy. 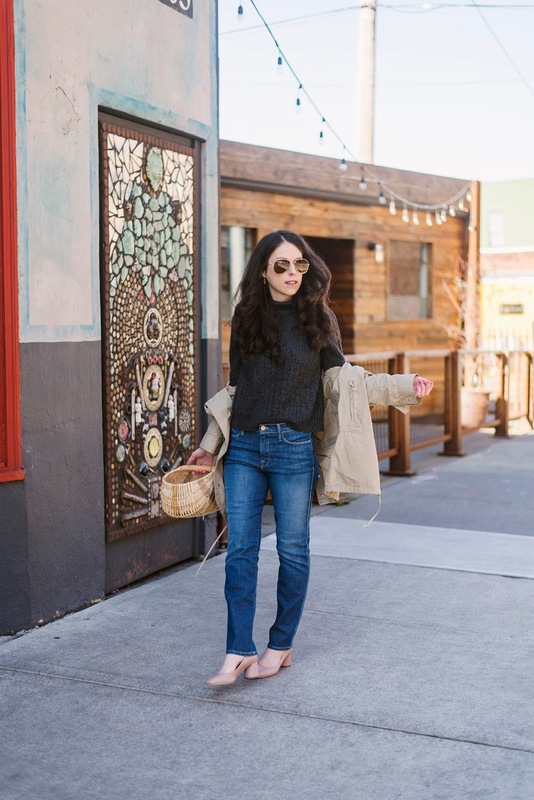 If the sweater is thick enough, you might even be able to forego a heavier coat in exchange for an anorak, windbreaker or perhaps none at all. 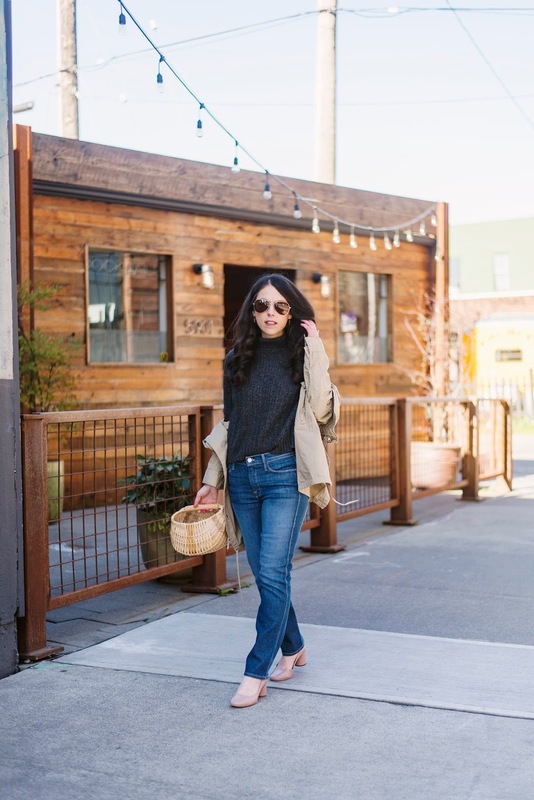 This type of weather is also the perfect time for wearing and loving all your favorite denim, before the temps get too hot and jeans are retired to the closet until fall in exchange for shorts and skirts. 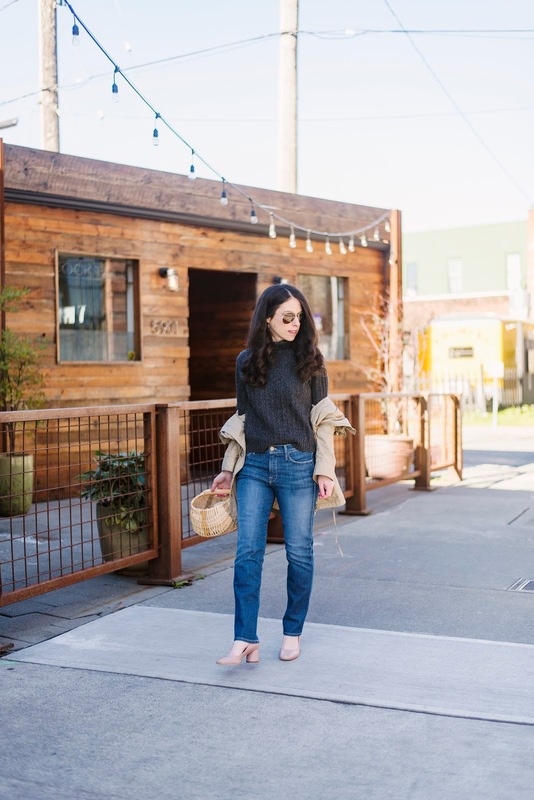 With the return of all sorts of fun denim styles for spring, including bell-bottoms and flares, and skinny denim now a classic, jeans are queen this season. More often than not when the temps drop in Seattle and a chill is in the air, you'll also find me with at least one Uniqlo HEATTECH inner layer on. 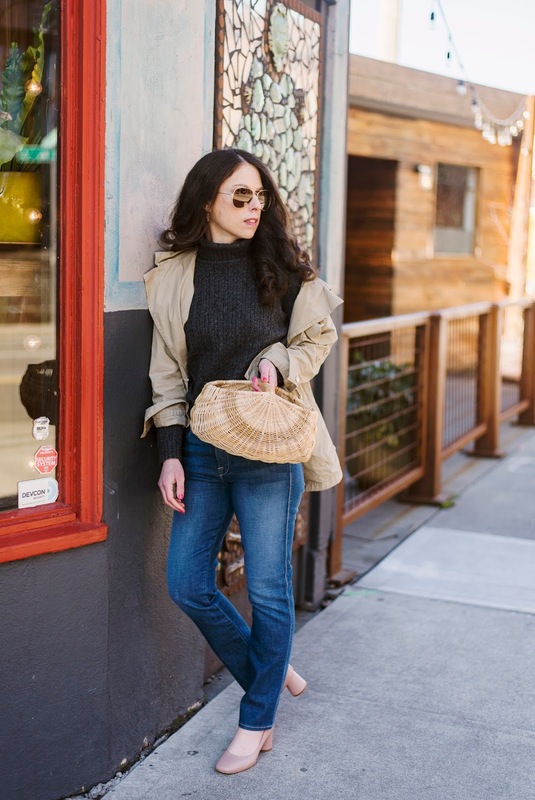 I've got a multitude of colors and styles in my closet and they are absolutely a lifesaver for cooler days. Ready to jump into summer dresses? Don't put away your winter coats and layers yet. A summer dress is perfect for layering over a turtleneck sweater. A silk slip dress under a heavy puffer proves an unexpected combo; consider adding a belt for detailing and to highlight your waist. 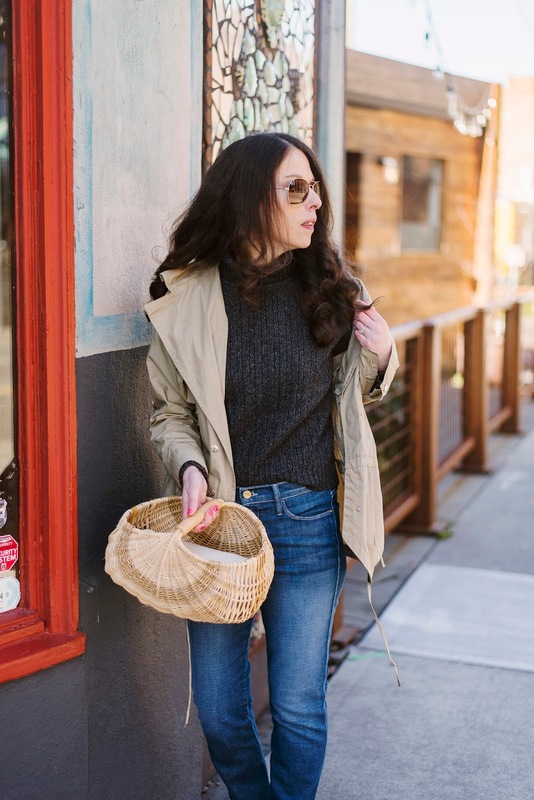 A fun accessory, such as a basket bag inspired by the iconic Jane Birkin, adds play and whimsy and a reminder that warmer weather is indeed on the way! Halleluhah! 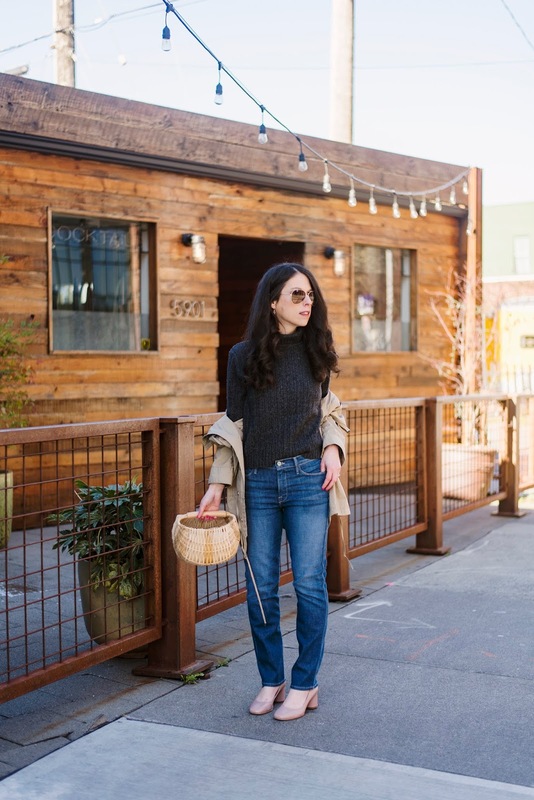 What are your favorite styling tips for what to wear when it's 50 degrees out? Informative post. There comes a time in the fall where your fashion takes a beating. The weather has made its way out of the summer, but most of your clothes are too warm for the current temperature. 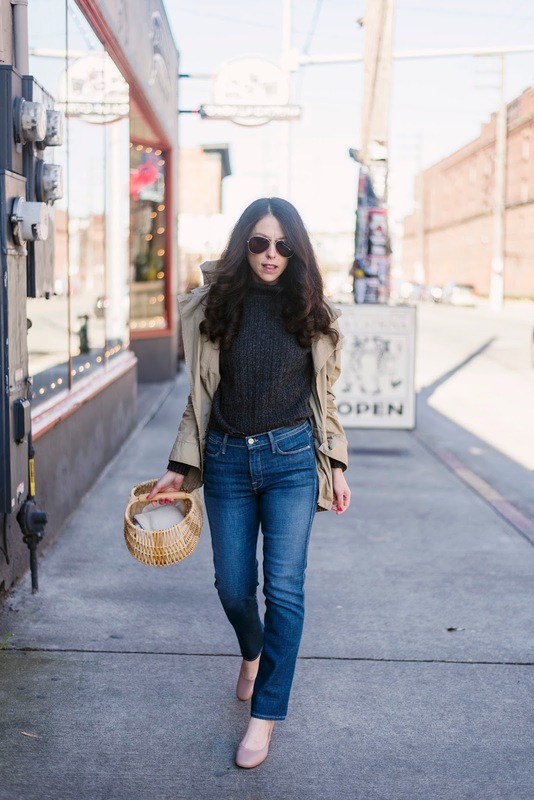 You’re stuck dressing for cold mornings that lead to warm days and end in even colder nights.